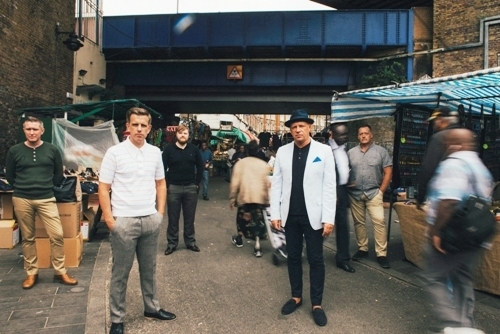 Midland soul stars Stone Foundation are preparing to hit the road on a UK tour to promote their latest album, Street Rituals. A live album, Live Rituals, is released on October 13. 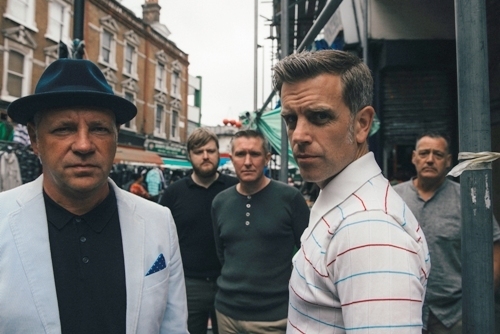 Birmingham-born frontman Neil Jones shares his thoughts about the band, its relationship with Paul Weller and heading home to play Birmingham O2 Academy on October 18. Tell me about your fourth album, Street Rituals, which was released at the end of March this year. I think it's our strongest record to date lyrically and musically. We're living in very divisive and divided times and we wanted to make an album that hopefully shines some light on the troubling situations that we seem to be facing right now. Do you feel you need to speak out about what is happening around you? We never really wanted to write songs about 'he loves her, she loves him', there are too many serious things going on in the world now to take a back seat and not stand up for what you believe. I believe music is a great vehicle to make people think and, hopefully, in a very small way affect and challenge people's thought process. There's way too much hate in the world right now, we really need to start coming together as people and say 'enough is enough'. Curtis Mayfield was a huge inspiration for us, he preached love, peace and understanding. It's a shame to see how, as a human race, we seem to keep making the same mistakes over and over again. 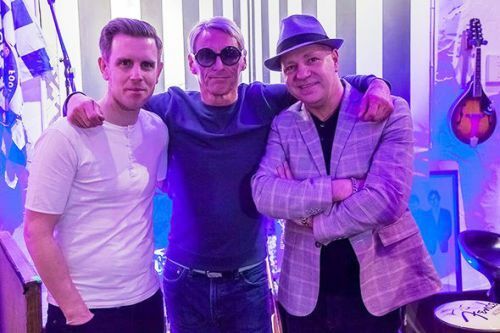 How did your relationship with Paul Weller come about and how does it feel to have him as such a fan? He called me to say how much he loved our last two records and asked if we'd be interested in writing a song with him. As you can imagine, we jumped at the chance, we're all huge fans of his music. Those first few writing sessions produced The Limit of a Man and The Colour of... and we just bonded from there. He's become a really good friend and he's a wonderful sounding board for ideas. You recorded the album at his studio, how long did it take - and do you have any stories about the time spent there? It took around two weeks all told. The core of the record went down live and was a really natural and organic process. We were able to make small changes along the way and most of the tunes went down in two or three takes. Paul is a great guy to be around, his mind is constantly buzzing, it's almost like watching an indoor firework going off in the studio, it's a really inspiring thing to see. We spent many a wonderful late night in the barn, working on some songs until 3am. It was easily the most enjoyable record we've made so far. It never for one moment felt like work. I particularly enjoyed the vocal takes myself and Paul did; we'd record most of them together so we could bounce off each other as we sang. The end of Simplify the Situation springs to mind straight away, that was just me and Paul having fun in the vocal booths and getting right into the tune. Did you feel yourselves as a band work on a new level with his involvement? Yeah, it definitely pushed me as a songwriter and us as musicians. We wanted everything to be the best it could be. The recording process was really natural though, it just clicked into place. We were just like six mates making music together during those first sessions, it was a fantastic experience. The album features soul legends William Bell and Bettye LaVette. How did you approach them about working on the album? We'd played with William at Union Chapel in London and got on really well with him. He's a really gracious guy and we're all big fans so it was a real honour to get a Grammy award winner like him on the record. As for Bettye, we always loved her voice and couldn't think of anyone better to sing Season of Change. We wanted a true storyteller to convey some very serious lyrics and she was perfect. Her voice seems to resonate from the very earth itself, she's an incredibly gifted singer and we were very fortunate with how she threw herself into that song. You are heading out on tour; how do you feel about playing in Birmingham again? It's my home town and I love the place but we haven't played there for a couple of years so I'm sure it'll be an amazing night. Every time I play Birmingham it feels like coming home to me. Any special guests planning to join you on the road? We're very fortunate to have Graham Parker supporting us in London so, you never know, he may join us on stage. We're never short of a few surprises here and there. Last time in London we had Paul Weller and Dr Robert from The Blow Monkeys join us on stage. Is there is a growing fanbase for soul music and a band like yourselves? Yes, massively. This year has completely underlined that. We've been playing to sold out venues up and down the country and had our first top 40 record with Street Rituals. I think people need some positivity right now and we certainly aim to give people that in our music. When: Touring from October 15, 2017. Birmingham show is October 18.